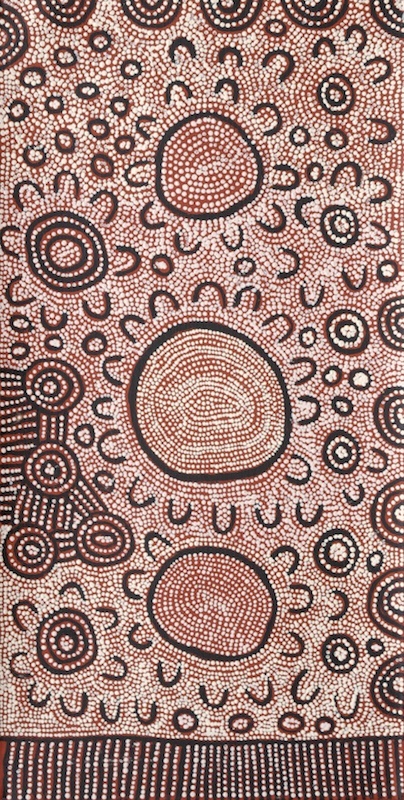 Payu was born at Karilwarra rockhole west of the Pollock Hills, circa 1952. 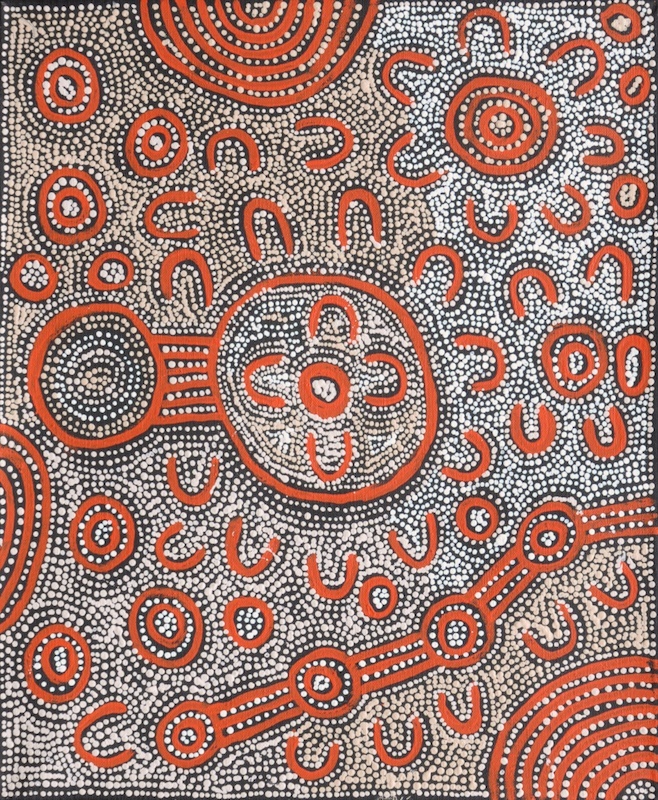 She was married to Freddy West Tjakamarra, who was one of the founding members of Papunya Tula Artists, and lived for the early part of her life in the vicinity of Kiwirrkura. In 1963 Payu and her family were met by a welfare patrol led by Jeremy Long and Nosepeg Tjupurrula at Wili rockhole east of Kintore. This event is documented in 'The Lizard Eaters' by Douglas Lockwood. As a result of this meeting her family moved to Papunya and lived on the western fringes of the community with other Pintupi speakers. She then spent time in both Kintore and Balgo, giving birth to five sons and one daughter, before settling in Kiwirrkura, where she currently resides.